1. What year was the one hundred millionth copy of the Book of Mormon printed? 2. According to 1790 copyright law, Joseph Smith identified himself as the “author and proprietor,” in the first edition of the Book of Mormon. What was this changed to in the second edition in 1837? 3. 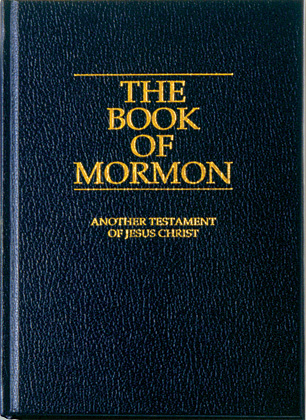 Only 28% of the original Book of Mormon manuscript can be accounted for. How much of the printers manuscript is missing? Quite a number of the residents of Kirtland accepted baptism. Mother and myself also, in the month of October, 1830. A branch of the Church was organized, and Father Morley was ordained an elder to preside over it. He owned a large farm, about a mile from Kirtland, and some three or four families went there to live, and meetings were held there. A good spirit and one of union prevailed among the brethren for some time. After Oliver Cowdery and his brethren left there for Missouri on their mission to the Lamanites, a wrong spirit crept into our midst, and a few were led away by it. About this time, John Whitmer came and brought a Book of Mormon. There was a meeting that evening, and we learned that Brother Morley had the Book in his possession the only one in that part of the country. I went to his house just before the meeting was to commence, and asked to see the book; Brother Morley put it in my hand, as I looked at it, I felt such a desire to read it, that I could not refrain from asking him to let me take it home and read it, while he attended meeting. He said it would be too late for me to take it back after meeting, and another thing, he had hardly had time to read a chapter in it himself, and but few of the brethren had even seen it, but I pled so earnestly for it, he finally said, "Child, if you will bring this book home before breakfast tomorrow morning, you may take it." He admonished me to be very careful, and see that no harm came to it. If any person in this world was ever perfectly happy in the possession of any coveted treasure I was when I had permission to read that wonderful book. Uncle and Aunt were Methodists, so when I got into the house, I exclaimed, "Oh, Uncle, I have got the 'Golden Bible'." Well, there was consternation in the house for a few moments, and I was severely reprimanded for being so presumptuous as to ask such a favor, when Brother Morley had not read it himself. However, we all took turns reading it until very late in the night as soon as it was light enough to see, I was up and learned the first verse in the book. When I reached Brother Morley's they had been up for only a little while. When I handed him the book, he remarked, "I guess you did not read much in it." I showed him how far we had read. He was surprised and said, "I don't believe you can tell me one word of it." I then repeated the first verse, also the outlines of the history of Nephi. He gazed at me in surprise, and said, "child, take this book home and finish it, I can wait." Before or about the time I finished the last chapter, the Prophet Joseph Smith arrived in Kirtland, and moved into a part of Newel K. Whitney's house (Uncle Algernon's partner in the Mercantile Business), while waiting for his goods to be put in order. Brother Whitney brought the Prophet Joseph to our house and introduced him to the older ones of the family (I was not in at the time.) In looking around he saw the Book of Mormon on the shelf, and asked how that book came to be there. He said, "I sent that book to Brother Morley." Uncle told him how his niece had obtained it. He asked, "Where is your niece?" I was sent for; when he saw me he looked at me so earnestly, I felt almost afraid. After a moment or two he came and put his hands on my head and gave me a great blessing, the first I ever received, and made me a present of the book, and said he would give Brother Morley another. He came in time to rebuke the evil spirits, and set the church in order. We all felt that he was a man of God, for he spoke with power, and as one having authority in very deed. In the first fifty years of Church history, copies of the Book of Mormon were relatively scarce, making it difficult for many members to use it regularly in daily religious life or to know its text in depth. Arnold K. Garr et al., Encyclopedia of Latter-day Saint History (Salt Lake City: Deseret Book, 2000), 119.